Market Basket is excited to announce the acquisition of Big Star Supermarkets in West Central Louisiana. The ownership change occurred in November 2011 and added four stores to Market Basket’s family, bringing the total to 35 stores across two states. Additionally, the purchase moves Market Basket into a new region and continues the growth and expansion that began over 50 years ago. The new stores are located in Many, Zwolle, Mansfield and Toledo Town, LA. The grocery chain that was co-founded in 1961 by Bruce and Alletta Thompson has become the largest independent grocer in Southeast Texas and Southwest Louisiana. Investing their life savings along with additional borrowed funds, they opened Bruce’s in Groves, TX. Today, Market Basket has a total of 35 stores, including the Mercado de Familia Hispanic supermarket on College St. in Beaumont and a convenience store located at Phelan Blvd. and 23rd St. in Beaumont. 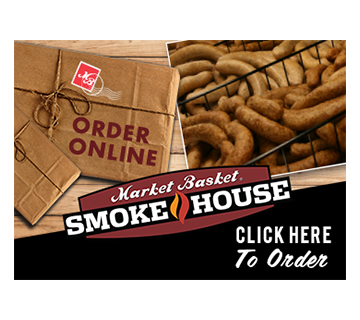 To stay ahead of ever expanding customer needs, Market Basket continuously evaluates new items and services throughout our stores. We also pride ourselves on maintaining the freshest possible selection of perishable goods in all departments. Bruce Thompson currently serves as Chairman of the Board of Directors while remaining active at the corporate and store level, and his son Skylar Thompson serves as the company’s President. A discussion of Market Basket corporation would not be complete without including their philanthropic efforts across numerous communities in Southeast Texas and Southwest Louisiana. And it’s not just monetary donations to communities and organizations ranging from the American Cancer Society to the YMBL, it’s also countless hours of community and civic service that foster a spirit of giving throughout the entire Market Basket organization.